Today in truly lol-worthy royal news, apparently Meghan Markle is so hardworking that it's making members of the Kensington Palace staff uncomfortable. The Daily Mail reports that according to a palace insider, Meghan has been shaking up the royal norms in many ways, including how she has been approaching her new role as Duchess of Sussex. Apparently, Megs wakes up quite early each morning (5am! 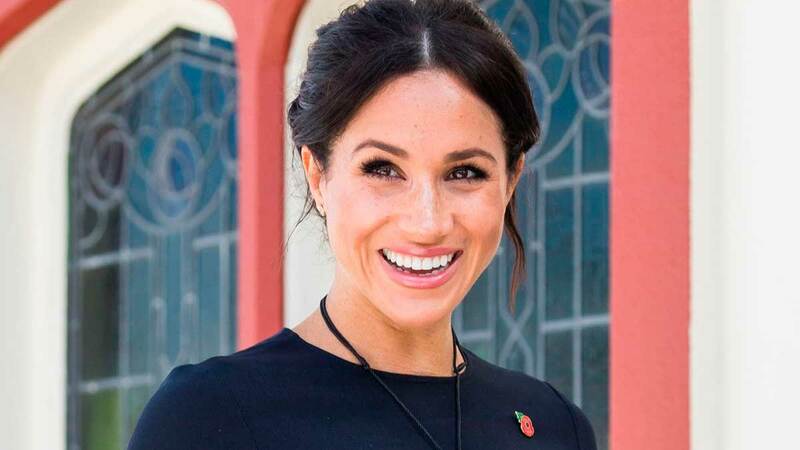 ), and "it is said palace staff have never experienced anything remotely like Meghan's formidable work ethic, matched only by the incessant stream of ideas about how to shape her role." And while you or I might think that a strong work ethic would be a good thing (especially because Meghan has such an influential platform), it's reportedly rubbing her staff the wrong way. According to the source, "Well-meaning as she is, her particular brand of 'up and at 'em' West Coast energy is an uncomfortable fit with the more formal ethos of some palace staff." With all that said, Meghan is no stranger to breaking royal protocol, so it looks like her staff will likely just have to get used to her "up and at 'em West Coast energy."